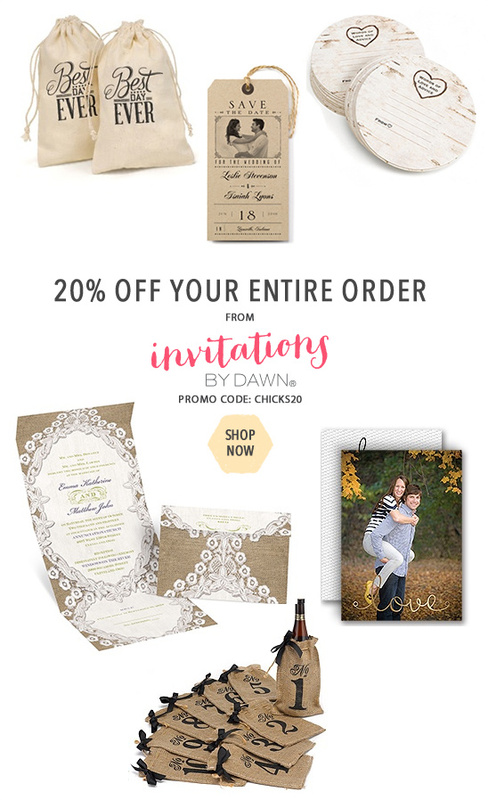 We'll be honest, we love a great deal, and right now Invitations by Dawn is having a site wide sale. 20% OFF YOUR ENTIRE PURCHASE! This means you can save money on your wedding invitations, save the dates, rehearsal dinner invites, thank you cards, even on matching stamps. You name it, and all with a 20% discount. It really doesn't get much better than that. Let's talk invitations. 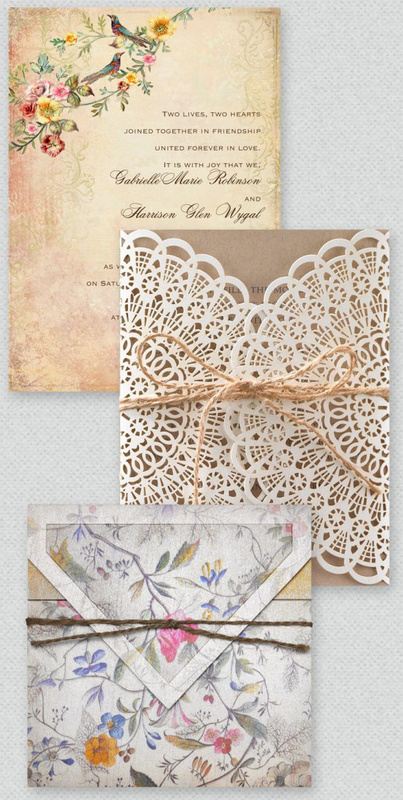 Invitations by Dawn really does have quite a selection of wedding invitations- from vintage elegance all the way to rustic chic. Sneek a peek at a few of our favorites by clicking here! On top of their great selection of everything wedding, they also pride themselves on their customer service. They understand just how important ordering wedding invitations is, and that you want every last detail to be perfect. You can rely on their friendly, knowledgeable consultants, etiquette tips and assembly guides to help make your ordering process a breeze. Click here to start shopping and don't forget to use the promo code CHICKS20.